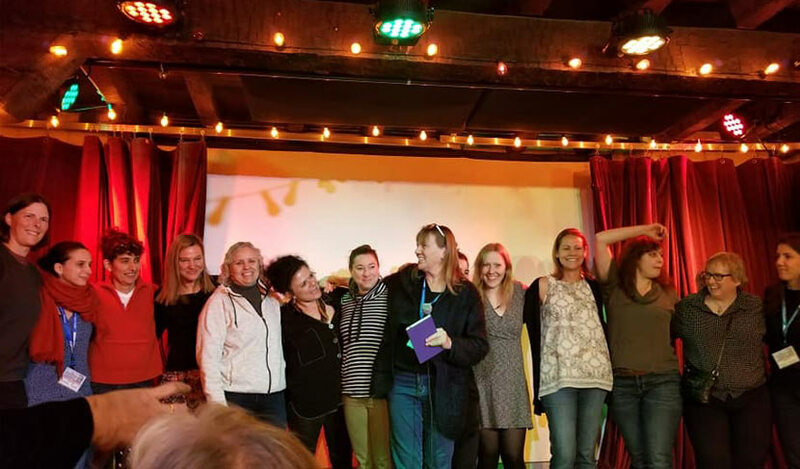 A proud and gratifying moment; to be part of this group of women luthiers from all parts of the world. Women builders attending the show were called onto the stage by Linda Manzer at the end of her award presentation. 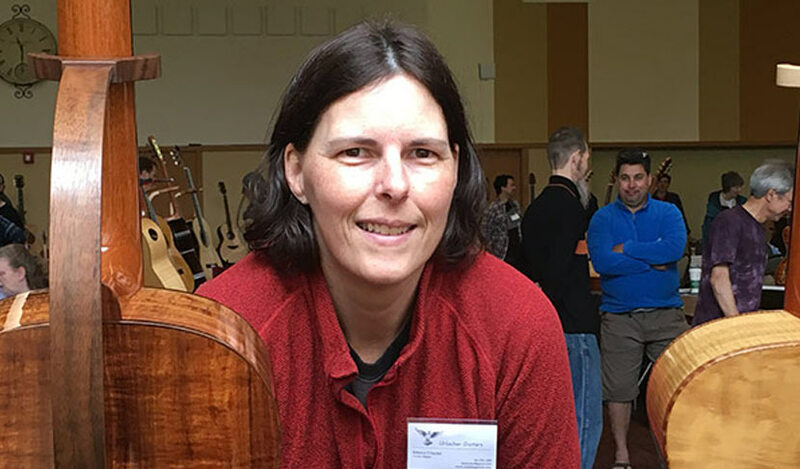 A heartfelt thank you to Robert Baker Rorick for bringing us together at the 2018 Woodstock Invitational Luthiers Showcase. There is still only a handful of women building instruments, but the numbers are growing! 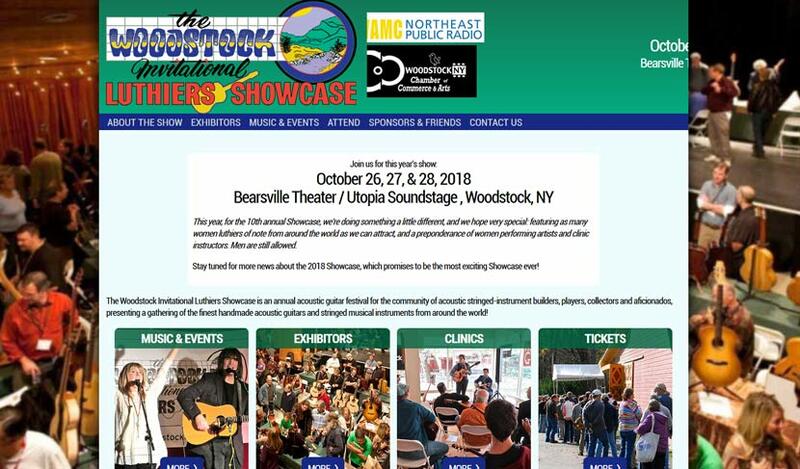 I am excited to announce that Urlacher Guitars will be on display at the Woodstock Invitational Luthiers Showcase, October 26th-28th. WILS is an annual acoustic guitar festival which includes stringed instrument builders, players, collectors and aficionados. This event is a gathering for the community, that provides the opportunity to see and hear some of the finest acoustic guitars around. This year is unique because the show will feature women luthiers and performing artists of note, from around the world. I couldn’t be more excited for Woodstock 2018! 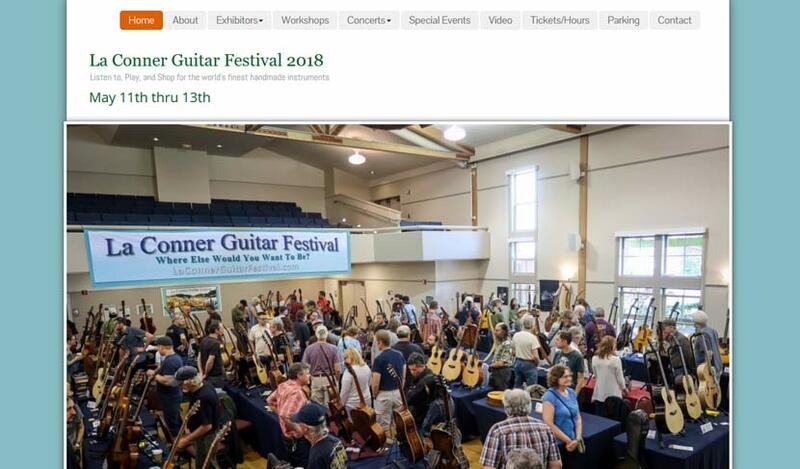 Urlacher Guitars will be on display at the La Conner Guitar Festival, May 11th-13th! The town of La Conner, is nestled on the bank of the Swinomish Channel at the edge of the idyllic farm lands of the Skagit Valley in the great state of Washington. It has been host to world famous artists, poets, and authors. 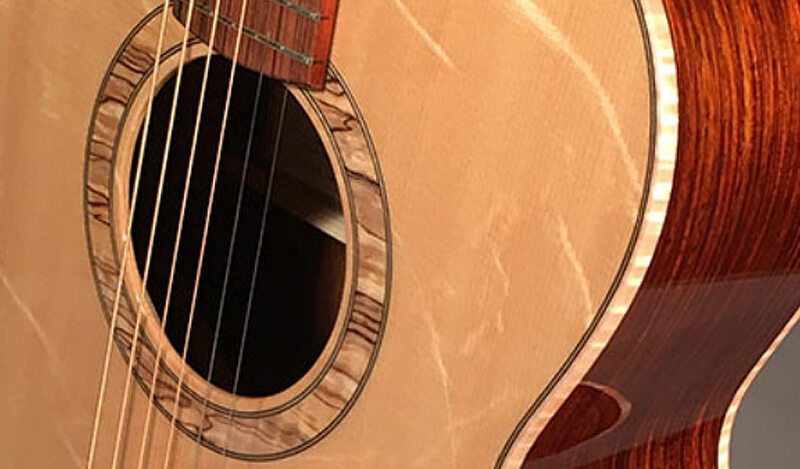 With such a history steeped in the arts, La Conner is a natural fit to showcase the Art of Lutherie with some of the finest instruments from around the world. 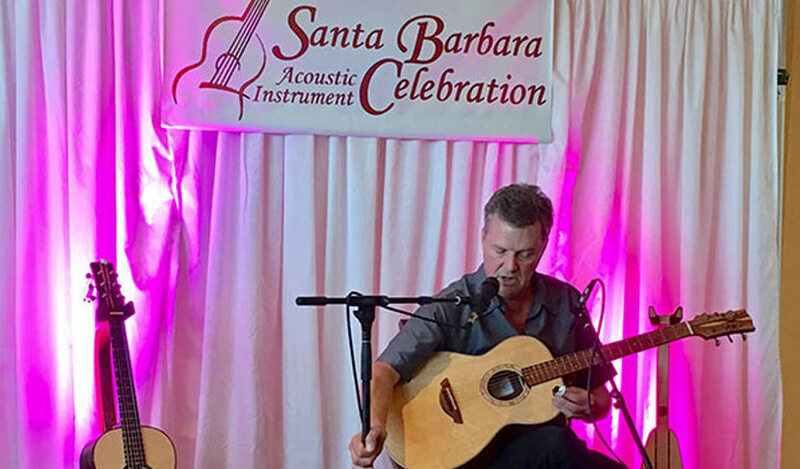 Urlacher Parlor and Concert Guitars were on display during the 2017 Santa Barbara Acoustic Instrument Celebration. SBAIC features handmade stringed instruments exhibited by their creators. The back and sides of this guitar are made with Flamewood. It is a true Rosewood originating from Laos, SE Asia. Characteristics are hard, dense, and displays a beautiful chatoyance. 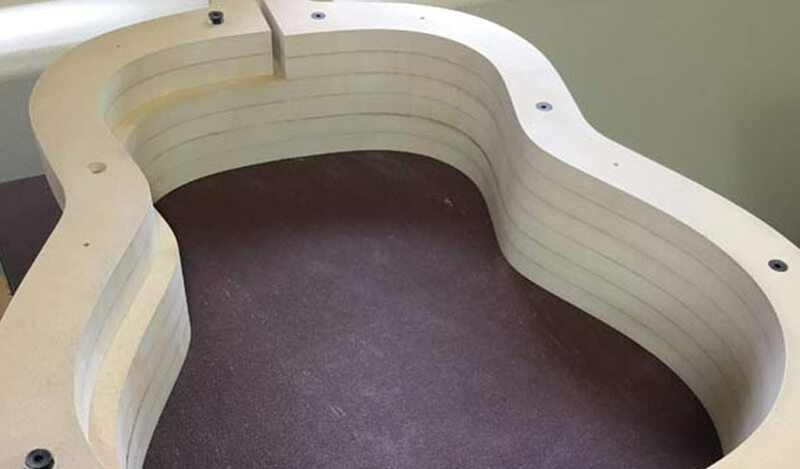 It may be typical for builders to start their catalog of guitar models with mid-size and large body guitars, and in time, add to the mix a small body guitar. For me it has been just the opposite. 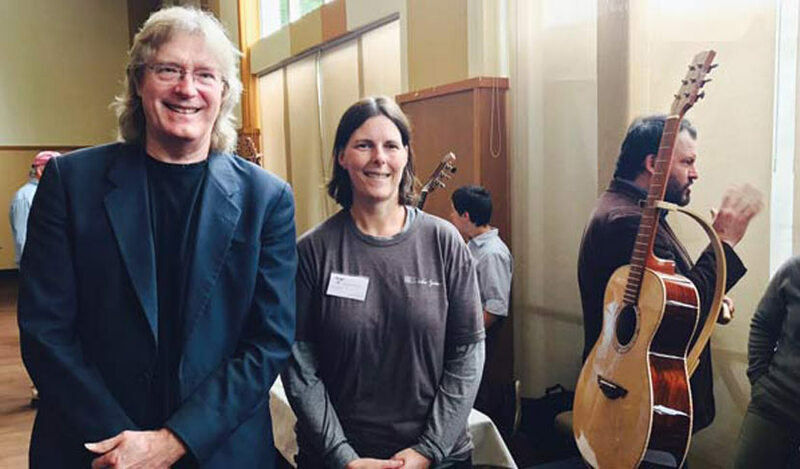 Proud moment to have guitarist Doug Smith perform on my guitars at the 2017 Northwest Handmade Instrument Exhibit. What an honor and a treat to hear. Thank you Doug! 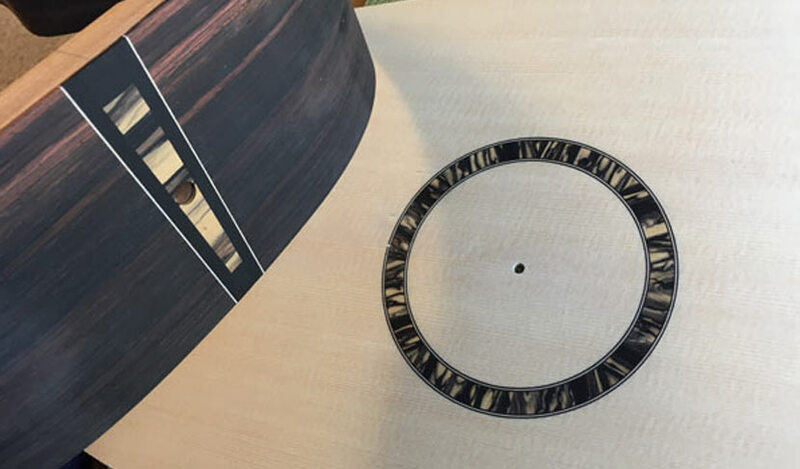 Currently on the workbench is a Brazilian Rosewood parlor guitar with elegant Black & White Striped Ebony accents. As much as I enjoy working with a client to design their dream guitar, it is also incredibly satisfying to rummage through the wood stash to select woods with a specific aesthetic vision and tone quality in mind. I can't wait to string up this guitar! Urlacher Guitars is headed to the SBAIC this fall and I couldn't be more excited! This exhibit features work by over 100 luthiers, music concerts, master classes and trade show. I am most eager to meet contemporary masters who's dedication to the craft and work I've admired for years. You may be able to find me at the booth of Gallery Hardwoods where my friend Larry Davis will have a healthy stash of his amazing tonewoods for purchase. The show dates are September 29th - October 2nd. With a desire to experience building with various top materials, it was an easy choice to select this very old Redwood top for my latest build. This wood is lighter in weight than Sitka but still maintains incredible stiffness and has a musical tap tone. I wasn't sure if I would love the atheistic look of a Redwood top guitar, but paired with this stunning reddish-golden set of Hawaiian Curly Koa, I was pleasantly surprised with the end result! 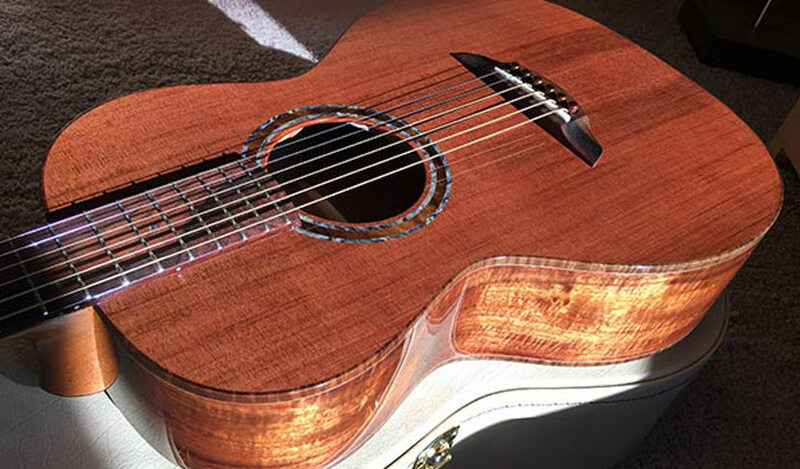 As for the tonal character, this parlor guitar displays a slightly dark tone with a crisp, bold response. Redwood/Koa is a winning combination that I will continue to use for Urlacher Guitars! See and hear Don Latarski playing redwood/koa parlor guitar.